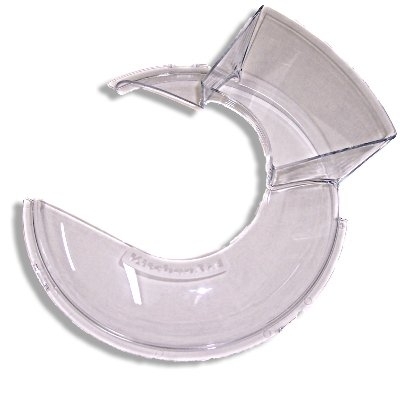 Is your KitchenAid Mixer in need of a pouring shield? Maybe you are tired of the messy results of adding your ingredients without a proper shield in place. It would be convenient and less wasteful if your mixer had a properly designed, well-fitted pouring shield to help you keep expensive ingredients inside the bowl when your mixing your favorite recipes. Try the Kitchen Aid KN1PS pour shield, designed for the mixers listed below. 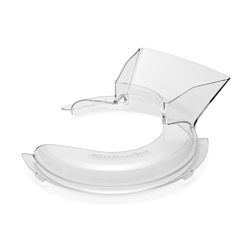 This shield is genuine KitchenAid, and is a one-piece design which fits easily atop your bowl's rim and allows ample space for the beater's movement, and a convenient chute for the addition of ingredients during mixing.